Closing Civic Spaces In Nigeria | Pro-Biafran Activists Killed in Chilling Crack Down. 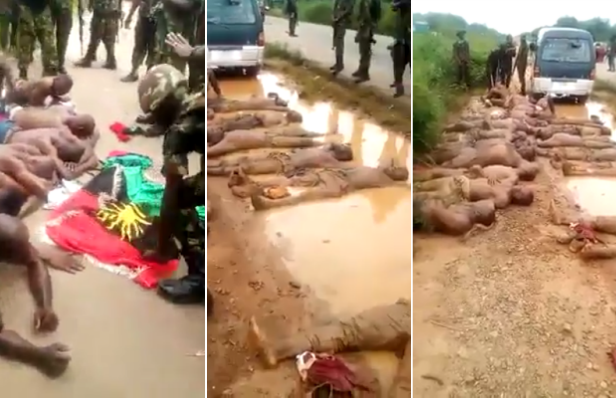 The Nigerian security forces, led by the military, embarked on a chilling campaign of extrajudicial executions and violence, attached to the operation python dance campaign; resulting in the death of at least 150 peaceful pro-Biafra protesters in the south east of the country. Legal Foundations Section 33, 34 and 35 of the 1999 Constitution. Rights Implicated The right to life and dignity of the victims of the attack, was highly disregarded.